Through bi-weekly posts, the ICUU team participating in the USO-project on ‘Intercultural Competences for Utrecht University’ will share updates on progress regarding the initiatives to enhance the intercultural competences (IC) of three target groups: students, teachers and support staff. International students coming to Utrecht University can sign up to get a buddy: a Dutch student who volunteers to guide them in taking part in the Dutch way of life, integrating at the university and their study programme. Why implement a buddy system? Would you like your Dutch students to meet new cultures and simultaneously support new international students in getting used to their new Dutch life? Or would you like international students who are coming to Utrecht University to get a Dutch buddy and help them settle to their new life in Utrecht and having a good start at the University? Then a Buddy programme might be suitable for you! How to organize a buddy system? International students can sign up to be matched with a Dutch student. Matching can take place before the international student arrives to the Netherlands so that he or she is able to ask for help before arriving. International students can also be matched once they are in the Netherlands in a so-called ‘matching-event’ (similar to a ‘speed date’ event). In addition, at each faculty or department, matching can be organized differently. Matching can take place within the same study programme or beyond the discipline. There are at least two options faculties or educational programmes can consider when organizing a buddy programme: (a) joining an external organization to pair students from the same or different studies. For example, the SGS Student Association and the international organization BuddyGoDutch have a buddy programme for students of the Faculty of Social Sciences, or (b) organizing their own buddy programme. For example, the Master Clinical Psychology has launched its own buddy programme to match international students with a Dutch buddy following the same study. Both international as Dutch students are initially motivated to participate in the programme. A nice number of both Dutch and international students are participating. Organisers of the different buddy programmes receive positive feedback from the students. The fact that becoming a buddy is optional is seen as positive by the organisers, because mostly motivated students are involved. There are also some challenges and recommendations regarding the matching and the communication between buddies. Reaching a ‘good match’ can be challenging, for instance, when many international students have a preference for the same Dutch buddy. Sometimes, matching within the same study programme goes wrong (for example, because names have not been documented properly). The Master Clinical Psychology has organized its own matching to avoid this. Becoming a buddy is always optional, this is a positive aspect of the programme, especially when the study load is high. However, organisers sometimes notice that some students do not show up, probably because they lack a feeling of responsibility. In this case new matches can be made. Monitoring how many matches are active or are working well is challenging if students do not provide this information themselves. So try to monitor this yourself. Sometimes, international students have found their own way and their need for communicating with their Dutch buddy decreases. The latter has recently been experienced by the Master CP, and they are thinking about implementing an alternative programme to break the barrier between Dutch and the internationals students. According to the coordinator of the Master Clinical Psychology, matching within the same study programme can better be organized by the study programme itself. Nevertheless, study programmes can sign up for concrete activities organized by external organizations. In this case, investing in good communication is recommended. The UU project InclUUsion (see here) is aimed at students with refugee background who are currently in emergency shelters, refugee centers or in their new houses. 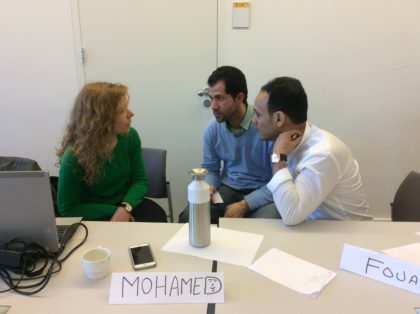 InclUUsion has launched a buddy system to support these refugee students by, for instance, guiding them at the library, in the use of BlackBoard or Osiris, but also in their learning process, experiencing intercultural communication or building a social network. An evaluation carried out in 2017 showed that refugee students are positive about the contact with their buddies (66,6%) and the social activities (85,7%). Receiving practical information happens more often than receiving support in improving language skills. Some refugee students mentioned that their buddy has also helped them in making new friends. Dutch students are also positive about their contact with refugee students (62,5%). Dutch students mentioned that being a buddy has helped them improving their English skills, making new friends, and on reflecting on the Dutch way of living and on the fact that they have much more similarities than they thought. Teachers who would like to receive more information about InclUUsion can send an email to the programme (see here). 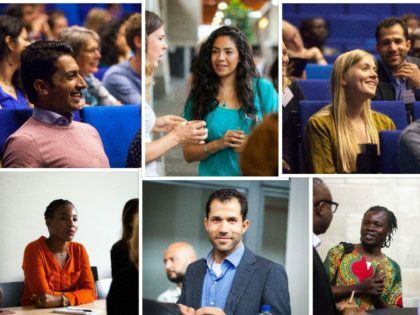 Utrecht University is implementing several activities (see previous blogs>>TAUU tag ‘Interculturele competenties’) to support students and staff in developing intercultural competences. Implementing buddy systems links students of different backgrounds and might support students in developing their intercultural competences. For more information about the ICUU project you can contact Jan ten Thije (J.D.tenthije@uu.nl) or Karen Schoutsen (k.e.schoutsen@uu.nl). Would you like to read more about the ICUU project? Have a look at the articles under the TAUU tag ‘Interculturele competenties’. 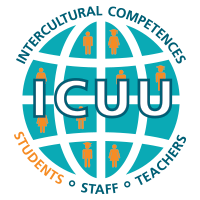 ICUU: ‘Developing Intercultural Competences’ for teachers of UU.